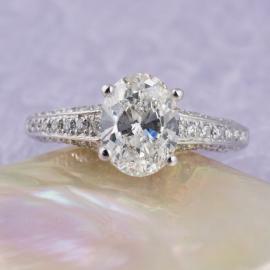 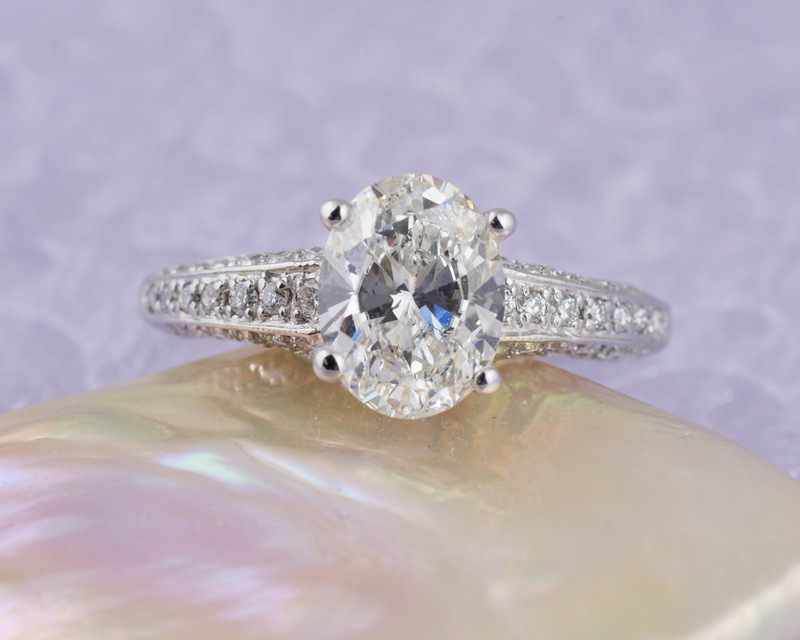 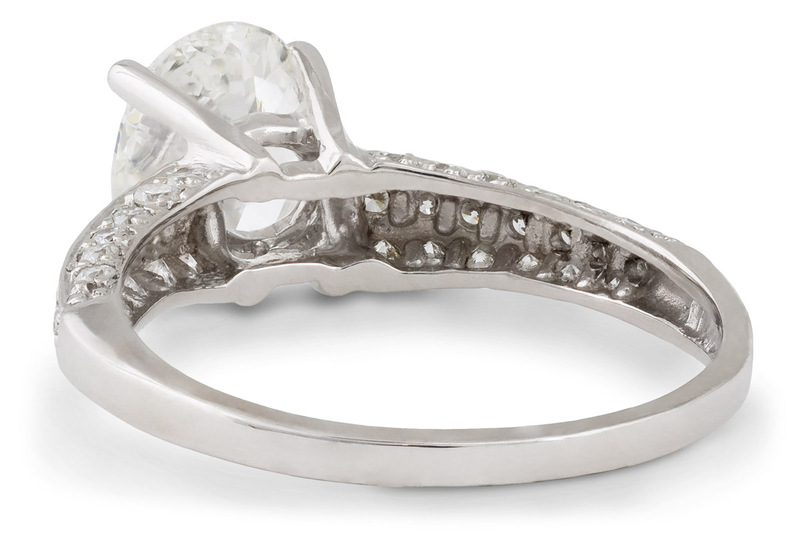 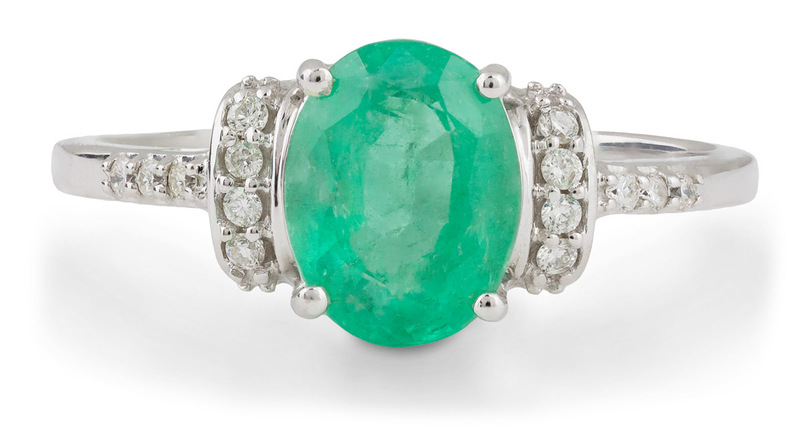 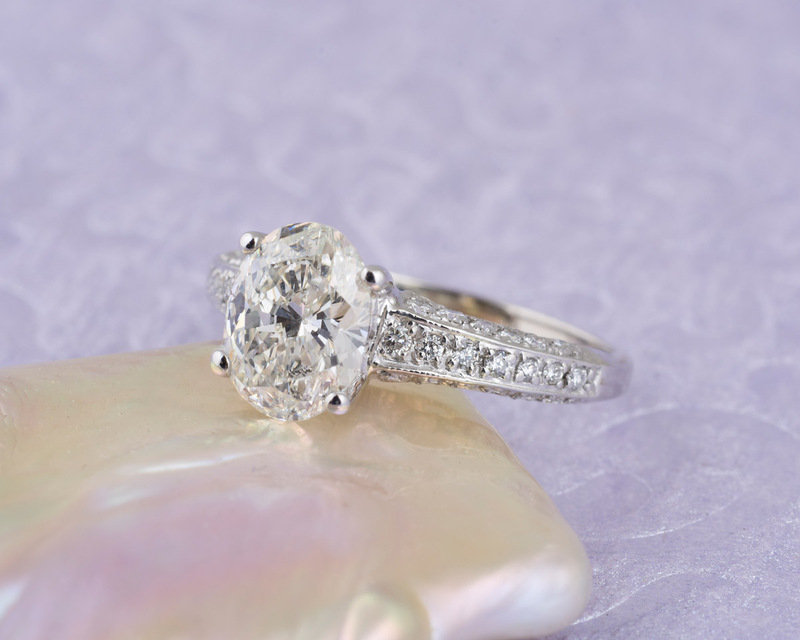 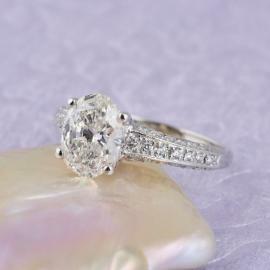 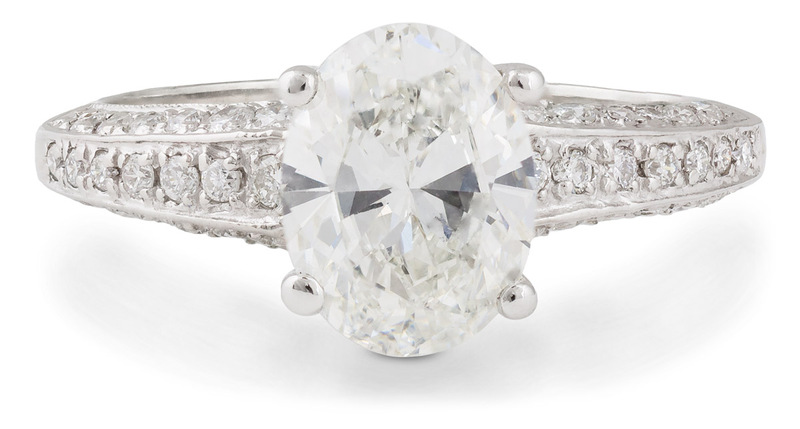 This fashionable engagement ring has a brilliant oval cut diamond at its center. 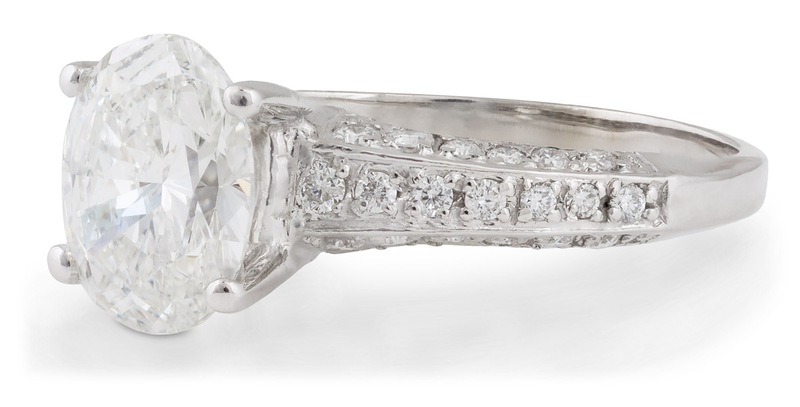 To add even more sparkle, the top half of the ring is studded with three rows of round diamond accents. 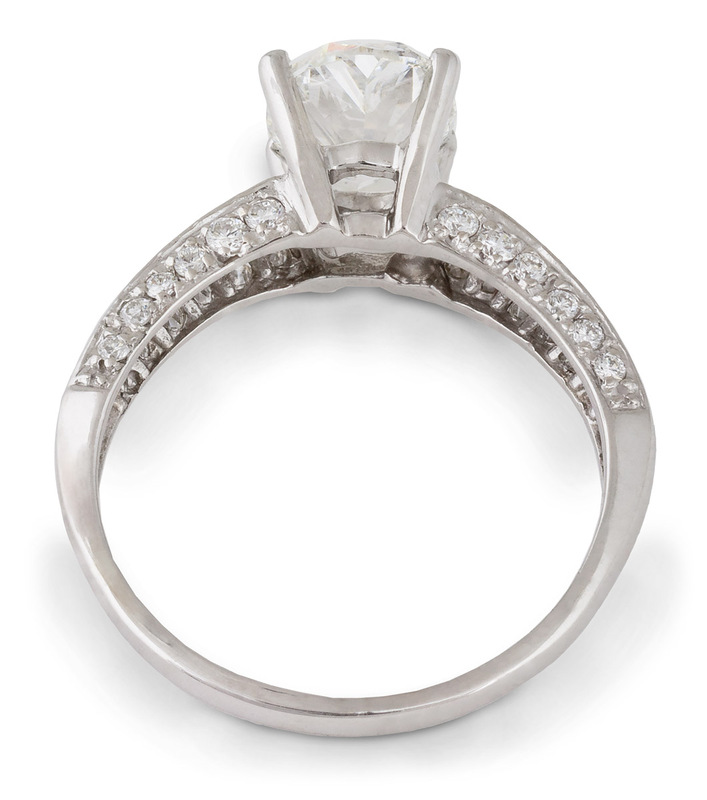 A modern ring design perfect for those looking to deviate from the popular round and princess cut engagement styles. 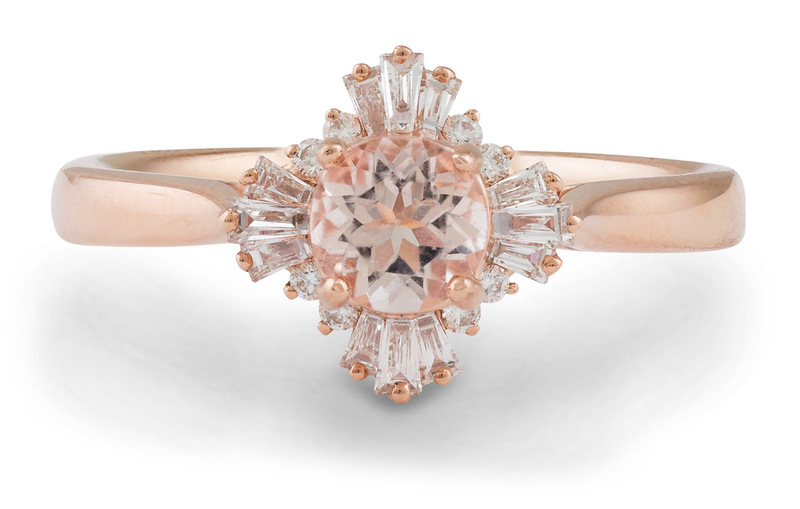 You deserve an engagement ring as unique as you are!